It is almost time to celebrate one of the most beloved traditions in Catalan culture, the Diada de Sant Jordi (Saint George’s Day)! 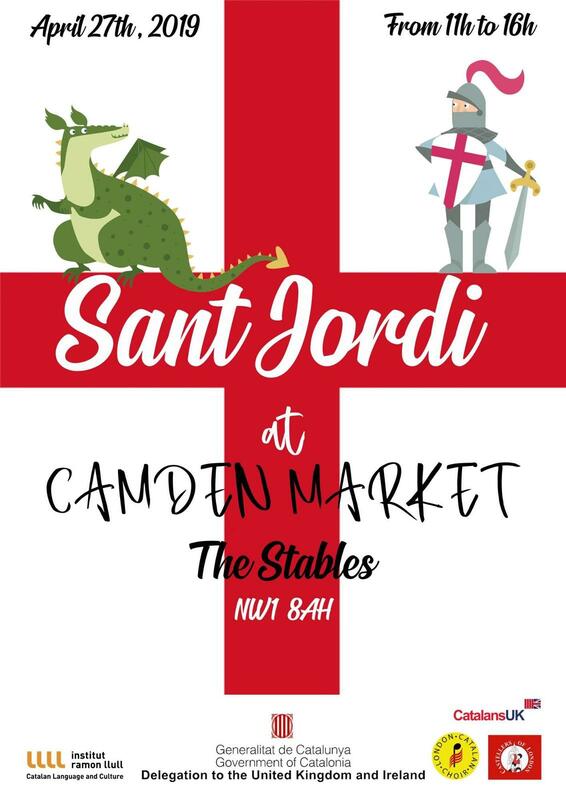 Every year, the streets of many Catalan-speaking cities burst with roses and books, and we are bringing all its magic near you, to the Stables Market in Camden Market the next 27th of April, from 11am to 4pm. Inspired by the legend of a rose that grew from the blood of a dragon defeated by a sainted knight to save a princess, the tradition dates back to the 15th Century, when men would give a rose to their loved ones on the day. The books are a more recent addition, an initiative introduced by the Valencian writer and editor Vicente Clavel in the 20th Century, who organised a book fair on the day, commemorating the death anniversaries of legendary writers William Shakespeare and Miguel de Cervantes. Since then, it became customary for people to exchange books and roses as a token of appreciation. This event has been organised by the Government of Catalonia Delegation to the United Kingdom and Ireland, with the support of Catalans UK, Castellers of London, London Catalan Choir, Institut Ramon Llull and the Catalan Tourist Board. Not in London? Not a problem! Follow the link to find a celebration near you.